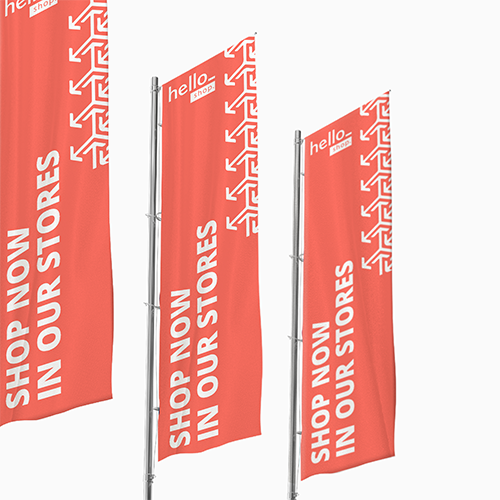 Order banner flags with your logo or slogan today and start promoting your business with eye-catching outdoor promotional flags. 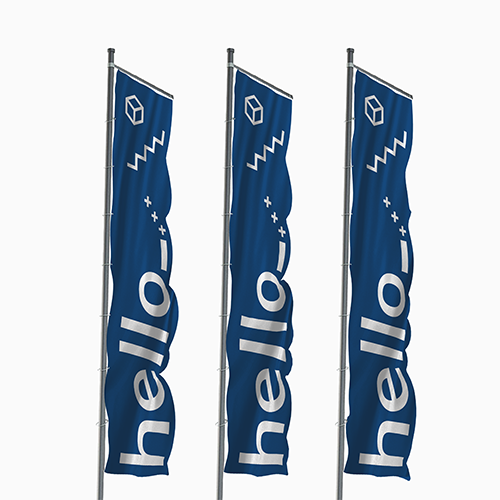 At Helloprint, we've made it easy for you to print your unique flags. All you need to do, is showing your flag with pride for everyone to see! The banner flags are printed on one side, but are 95% translucent. Flagpole not included! Keep 150 mm safety margin from the top. For a bannerflag with tunnel: keep all important text and images at least 150 mm away from the top of your design. This space must be available for the tunnel. 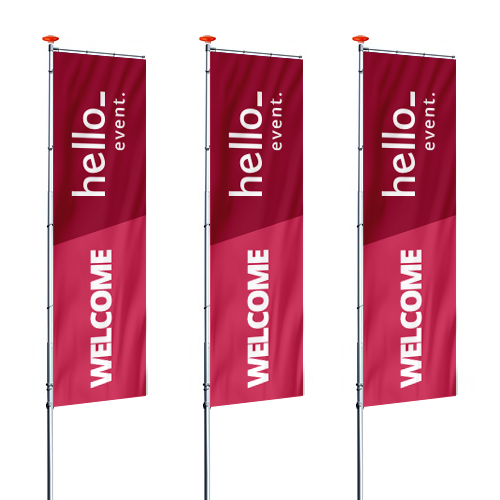 Bannerflags are a very popular product for promoting yourself and your company. 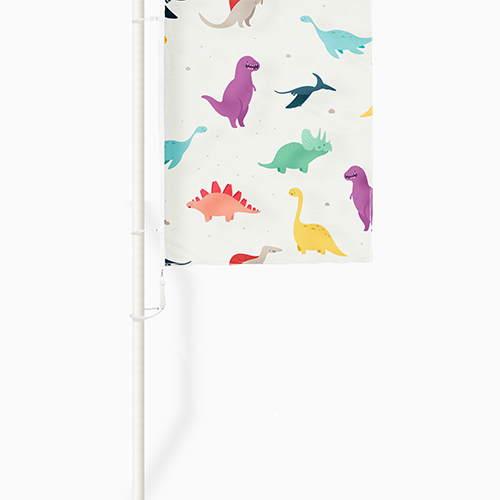 The banner flag is most striking of all the flags in our assortment. It stands very tall, which is good for promotion. You can choose a tunnel on the top of your flag so it stands steady fitted to a flagpole. This way the flag is always visible, even if there is no wind outside. For the delivery of your banner flags screen printed we use multiple carriers. Because of the highest reliability, in most cases we use UPS or DPD. The banner flags screen printed that is chosen in most cases can be selected via our website. What is the lifespan of Banner flags Screen Printed ?